New Delhi, Dec 8: India will host the Senior Women's World Boxing Championships next year and the Senior Men's World Championships in 2021, Sports Minister Rajyavardhan Singh Rathore announced here on Friday. "Our boxers need more international exposure and more international tournaments need to be held in India. From now on, we will try to hold at least one high quality international boxing tournament in India every year," he told the media. "We need to ensure that the best boxers from the top boxing nations come and compete in India. This will help to improve our infrastructure," Rathore added. He went on: "We recently held the Youth Women's World Championships and it was perhaps the best World Championships ever organised." Rathore informed that the sports ministry has asked the National Sports Federations (NSFs) to bring transparency in their activities. "Federations should display on their websites their funding, utilisation of funds and selection process of players for different events and result of such selection immediately after the selection is over," he said. Rathore was speaking a function to felicitate the Indian women's squad which registered a tally of five gold and two bronze medals at the Youth Women's World Championships in Guwahati last month. India was declared Team Champion at the tournament while Russia took second place followed by Kazakhstan. The minister announced cash awards of Rs.6.70 lakh to each gold medal winner Rs. 2.70 lakh each to the bronze medallists. Rathore also felicitated Gaurav Bidhuri who took bronze at the AIBA Elite Men World Championship held in Germany in September this year. Praising the Indian junior women's boxing squad for their performance at the junior World Championships, Rathore said Indian boxers have the ability to do well at the Olympics. "It seems that the women boxers have more prospects of winning medals at the international level. So we will try to give them the best facilities and best coaches," he said. 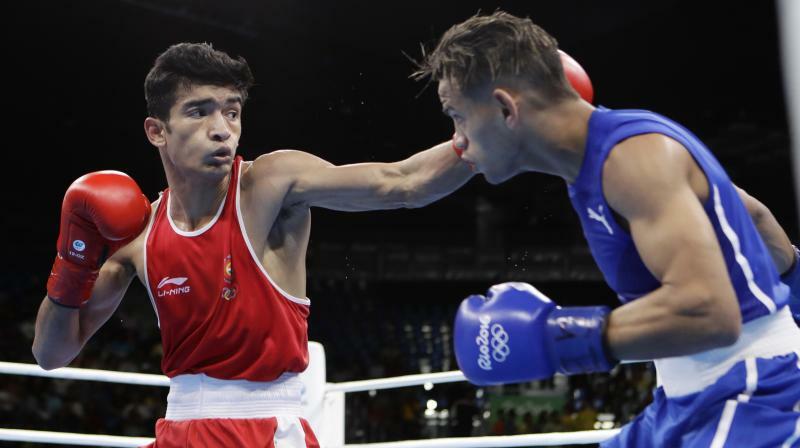 Asserting that willpower and extreme dedication to training were the only way to sporting success, the Olympic silver medallist asked the young boxers to keep working hard irrespective of results. "Earlier we used to think that only we in India have problems while foreign athletes have all the facilities. This is a fallacy. Everybody in this world have their share of what they have and don't have," Rathore said. "It is willpower that wins a tournament or a match. Just having financial resources and facilities is no guarantee of sporting success. Look at the list of medal winners in Olympics and see how many corporate heads, kings and queens you can spot. The list is full of people from middle class families," he added. "What makes you win is your ability to pursue your passion absolutely undeterred. You have to live your passion and keep working hard irrespective of whether you win medals or not."